March 22, 2019. CAC has helped to develop and empower 22,000+ community leaders over the past decade. Our investment in creating leaders goes far beyond our On-Field Purposeful Play: Creating Education Outside the Classroom trainings. Professional Development is a key component of our strategy, which is best highlighted through three of our year-round strategic resources: Global Networking, Community Impact Coach Initiative, and Global Leadership Courses. Engaging in our year-round strategic resources is necessary for to be accredited by CAC in Purposeful Play. Global Networking: Recently we invited five local leaders from CAC’s network from Jordan, Lebanon, and India to join Chief Executive Brian Suskiewicz at the EMPOWER Conference in Doha, Qatar. 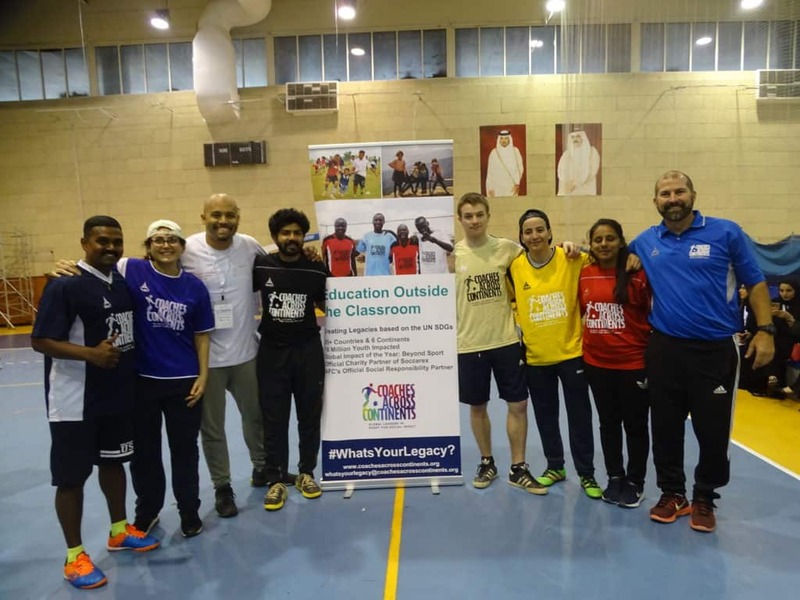 They assisted in delivering two workshops and one On-Field coaching education in Purposeful Play to some of the 650 participants attending the conference from 50 countries. The focus of the conference was the role of youth as agents and catalysts for peace and dialogue for sustainable development. 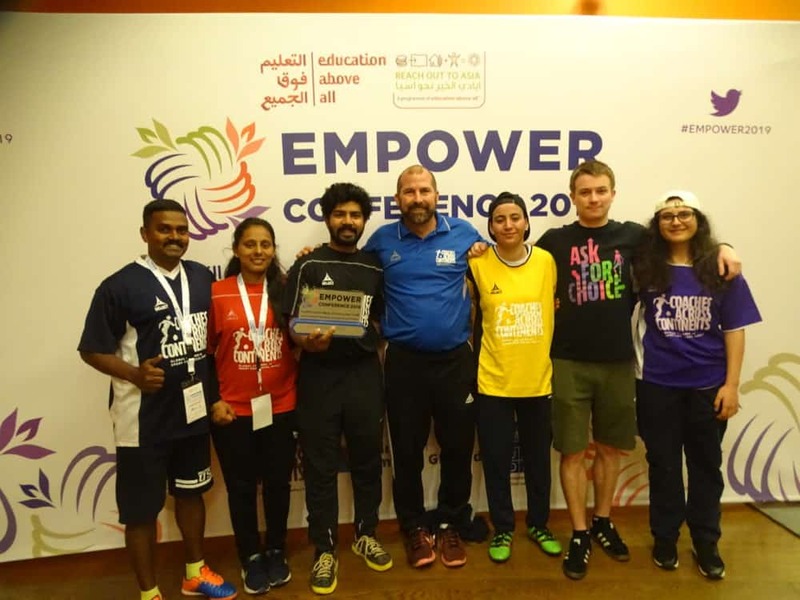 The full CAC team was Chief Exec Brian and SDL Educator Jamie Tomkinson, along with Benny Marcus (Parikrma Foundation, India), Tejas Ramakrishna (Sparky Football, India), Jaspreet Kaur (YFC Rurka Kalan, India), Rose Abou Elias (Arcenciel, Lebanon), and Wala’a Abu Shihab (Reclaim Childhood, Jordan). The team was recognized for their efforts on stage by the EMPOWER Conference at the conclusion of the event. CAC continues to look for professional development opportunities, like this conference, to benefit the most promising leaders in our network. Global Leadership Courses: CAC currently is an implementing partner with the MJYL Program that just accepted it’s fourth class of leaders. CAC is instrumental in assisting Michael Johnson in selecting promising young leaders from around the world and developing them over the course of the year both at Michael’s high performance training center in Dallas as well as throughout the year through CAC’s 28 year-round strategic resources as they implement their own legacy projects to impact their communities. In fact, one former MJYL, Jamie Tomkinson, recently joined the CAC senior staff full-time based on his growth and development over the past several years. CAC is exploring being able to provide other similar initiatives to give even more opportunities like this one to promising leaders on a continental and global scale. Community Impact Coach Initiative: Our CIC Initiative is the most widely known strategic resource that CAC offers to promising leaders each year. We provide opportunities for coaches in 25+ countries to join and travel with the CAC staff each year as we deliver Purposeful Play On-Field Education in other communities. This provides for intense professional development and learning, cultural exchange between individuals and communities, and giving our host communities multiple voices and perspectives to implementing Purposeful Play. For many CICs, this is the first time they have flown on an airplane, traveled internationally, or even seen parts of their own countries. Investment: CAC already invests a great deal in leaders to implement Purposeful Play and impact communities and countries around the world. With a strong corporate or foundation partner – our efforts could be magnified immensely. 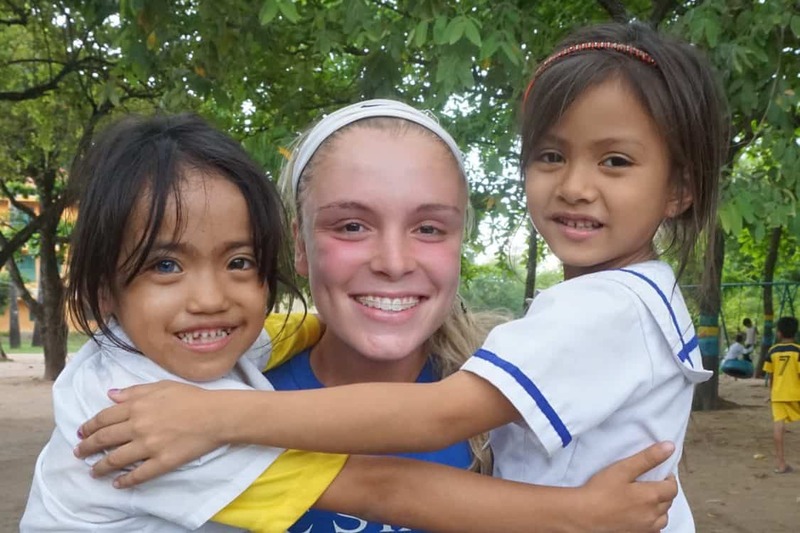 And for just a small individual donation, you can empower a young leader globally which will benefit the hundreds and thousands of children they work with directly and through their community organization. #WhatsYourLegacy? We at Coaches Across Continents applaud all our partners who joined with us, and with UNICEF, to champion the rights of children on the recent Universal Children’s Day (November 20th). 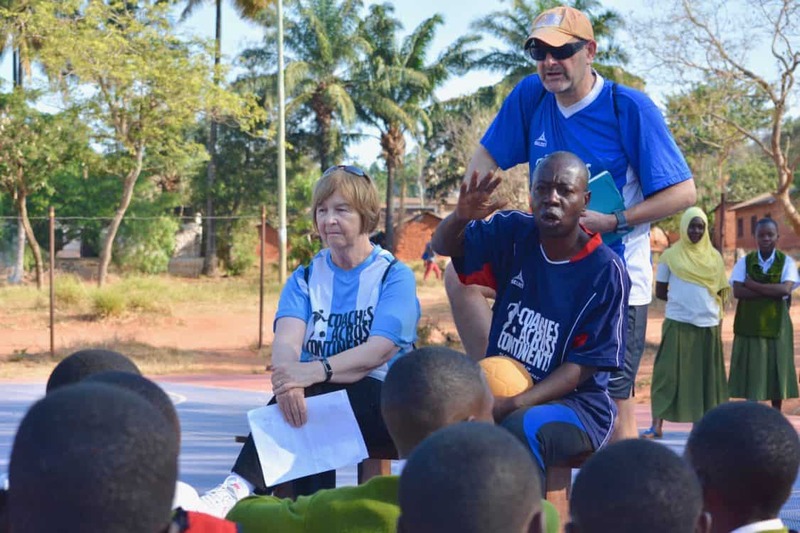 Initially Coaches Across Continents invited partners to begin creating a Child Protection Policy unique to their community. Over 100 partner groups responded. Together we raised global awareness of the need to safeguard children in 105+ countries on 6 continents. Partners were asked to identify the form of child abuse they most wanted to change within their community. Physical, emotional, sexual and verbal abuse were identified and next steps considered. Key issues emerged. These recognised that abuse is often a taken for granted cultural habit, as well as being an abuse of power. Respect for young people was thought to be crucial, while bullying should be avoided. Partners who had created a Child Protection Policy asked CAC for curriculum games and online education. CAC distributed a curriculum packet of five games which addressed the four different forms of child abuse, as well as showing how to prevent child abuse in the future. Stories flooded in showing the many CAC games that had been played around the world on Universal Children’s Day. Additionally CAC invited partners to download and use UNICEF’s International Safeguards for Children in Sport, where CAC was a pioneering member. Together we all lived up to the hashtag #BeAChampionForChildren, knowing that by protecting children we were advancing the United Nations Sustainable Development Goals. 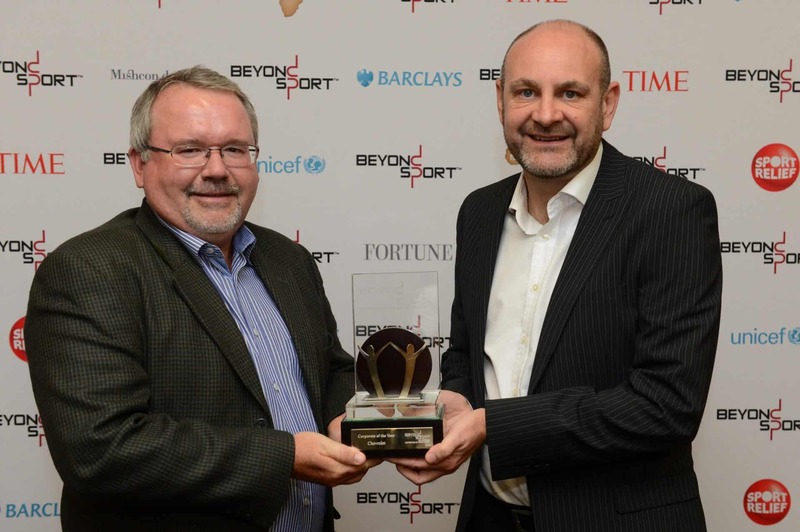 The Beyond Sport Awards: #WhatsYourLegacy? September 10, 2018. Coaches Across Continents is looking forward to the Beyond Sport Awards in NYC on Wednesday, September 12, 2018. For the second consecutive year, CAC is shortlisted for the Global Impact of the Year Award, this year with our #WhatsYourLegacy? campaign. Overall there were 355 separate applications from over 100 countries on 6 continents for 10 categories of awards. Over 25% of the finalists at this year’s Beyond Sport Awards are CAC partners! 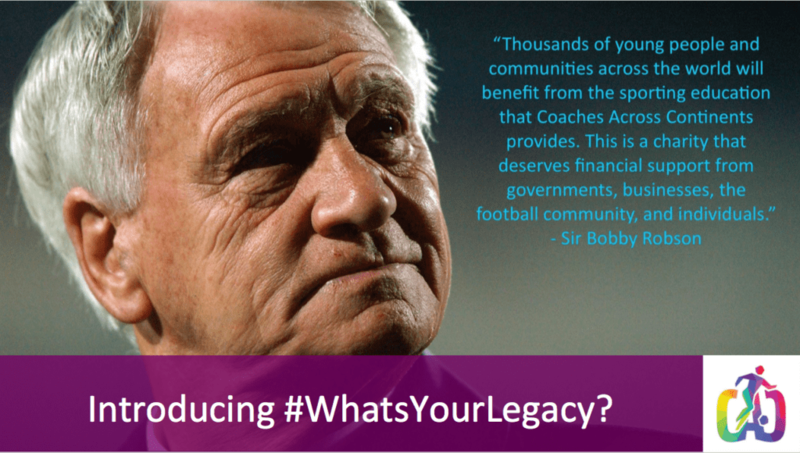 Coaches Across Continents’ #WhatsYourLegacy? 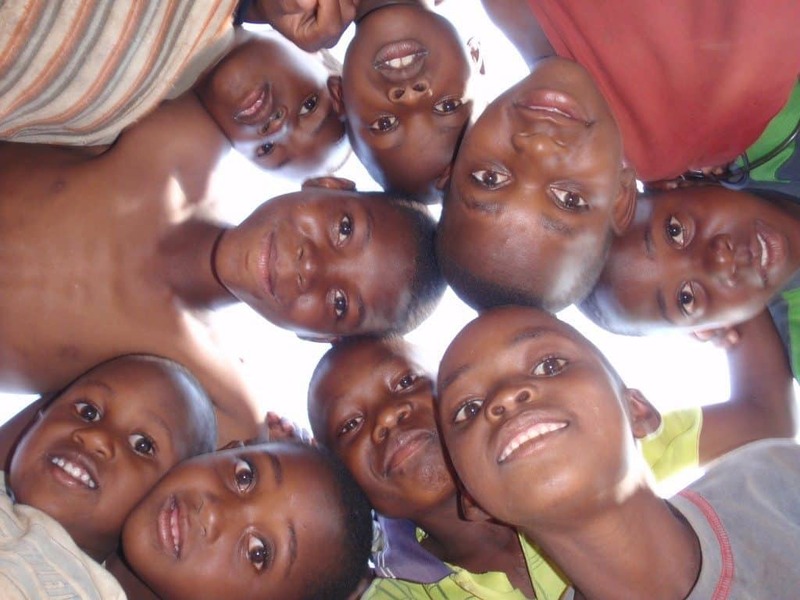 impacts over 16 million children in 56 countries on 6 continents through our three primary initiatives: 1. Corporation and Foundation Legacy Program; 2. Government and Community Legacy Program; and 3. Curriculum Legacy Program. All of these initiatives look to create Legacies of Social Change based on the UN Sustainable Development Goals. It is symbolic that in our tenth year, in the month that we celebrate our ten-year anniversary with #CAC10, we are being recognized for our impact on the sport for social impact field. 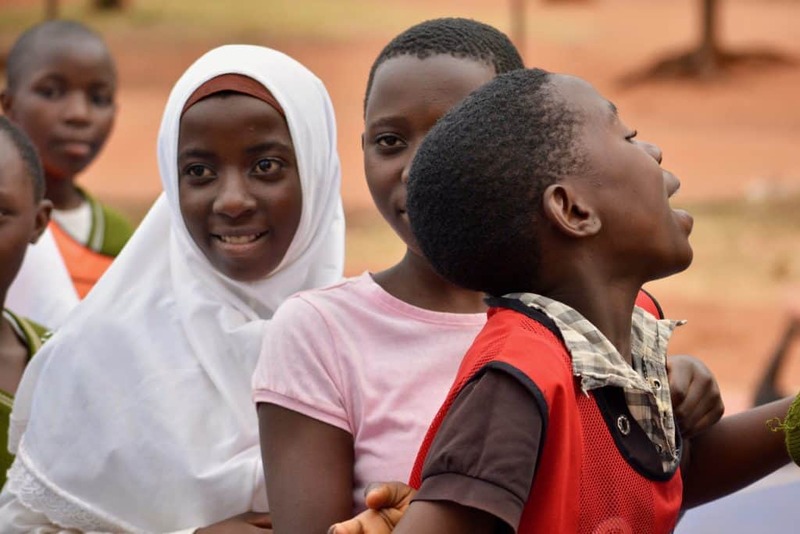 Just last week, Founder Nick Gates wrote about his thoughts from working in a small town in Kigoma, Tanzania in 2008 to what is being accomplished daily through our year-round partnerships and 28 strategic resources. Coaches Across Continents was recognized 9 years ago by Beyond Sport with the Best New Project which helped to launch CAC on our road to success. This followed with Corporate of the Year with Chevrolet in 2014 as well as 22 other major global awards. Nick is joined at the awards by ASK for Choice Strategist, Nora Dooley and Sustainability Strategist, Adam Burgess. The Awards may very well feel like a reunion of sorts, as the influence of CAC partnerships will be seen throughout. Nick, Nora, and Adam will be very busy meeting our partners who were also shortlisted and meeting some other new faces. CAC directly partners with 7 of the 35 finalists in the main categories. There are also two separate categories where CAC partners are recognized. 2 of the 5 young leaders nominated for the Courageous Use of Sport Award and 2 of the 3 finalists for Sport for Refugees Award are CAC partners. Thursday, after the awards ceremony is the Beyond Sport United Conference. Nora will be the expert on a panel on how sport specifically can support young people in being socially responsible and active. Not to be outdone by all the activity in NYC, 12 time zones away, Chief Executive Brian Suskiewicz is in Kuala Lumpur for the Asian Football (AFC) Confederation Social Responsibility Conference and Dream Asia awards, occurring on the same two days. As the Official Social Responsibility Partner of the AFC, Coaches Across Continents is responsible for presenting at activities such as this one to share knowledge and best practices with their 47 member institutions as well as other organizations looking to use sport to create social change in Asia. August 31, 2018. Founder Nick Gates reflects on a decade of CAC. It seems just like yesterday when Coaches Across Continents came to life. I was on a local bus in East Africa when I had the idea on how to best support local communities. A lot has changed since our first and only program in 2008 in rural Kigoma, Tanzania. We started as a traditional, ‘train the trainer’ model, but we have evolved to provide year-round process consultancy to organizations in more than 56 countries. We have 3 key partnership pathways and 28 strategic resources for corporations, communities, governments, and foundations to implement our Education Outside the Classroom and create legacies of social change. Coaches Across Continents has become the global leader in Education Outside the Classroom. Our published Self-Directed Learning methodology and Chance to Choice and ASK for Choice curriculum pathways has been requested by organizations in nearly 100 countries and impacts over 16 million children annually. In the past decade our innovative programs, partnerships, and projects have been recognized with 25 major global awards. Currently we are shortlisted for Beyond Sport’s Global Impact of the Year Award with the winner announced in New York City on September 12th. Our Corporate and Foundation Legacy Program Designs, Develops, and Implements specific CSR and Cause Marketing Initiatives, with successful CSR projects in 23 countries including Olympic and World Cup Legacies, while our Government and Community Legacy Program uses our 28 strategic resources and creates Education Outside the Classroom to address 10 of the UN Sustainable Development Goals. Organizations such as the Asian Football Confederation have named Coaches Across Continents their Social Responsibility Partner, while corporations like Nike, Chevrolet, Bloomberg, Standard Chartered Bank, and more have used CAC to bring their CSR initiatives to life. And foundations like the Michael Johnson Young Leaders Program rely on CAC to help implement their vision to create and educate dynamic young leaders around the world. Over the past decade we have worked with over 430 different community organizations, including 12 of the FIFA Football for Hope Centers and nearly 50 different Street Football World partners. Through partnership with CAC, they have gone through organizational transformation and development using our strategic resources to best deliver Education Outside the Classroom in their communities. This year seven of our partners are also shortlisted for various Beyond Sport Awards. Our success is only possible because of hundreds of committed individuals. I would like to thank our Board of Directors, Business Advisory Team, ASK for Choice Advisory Team, and Coach Advisory Team. We also want to give a special thanks to all our global citizens and supporters, our Community Impact Coaches, all our donors, our videographer Kevin O’Donovan, and the Taiji Brand Group for helping us create sustainable legacies all over the world. This month, we celebrate our ten-year anniversary under the campaign #CAC10. It’s been a decade of excellence. July 28, 2018. Board member Dr. Judith Gates is with our team, back in Kigoma, Tanzania where we held our first-ever program ten years ago. #CAC10. #WhatsYourLegacy? These were the final words I heard amidst all of the goodbyes, exchange of email addresses and chatter about selfie photo ops that invariably mark the end of a Coaches Across Continents programme. Teachers and coaches were jostling with each other and sharing plans as to how they were going to put all they had learned that week into practice. The group of students, identifiable by their green uniforms, were talking enthusiastically about new insights gained. My spirits soared. I understood what she was saying. I knew what she meant. This week’s programme was to mark the 10th anniversary of Coaches Across Continents. Ten years ago the very first CAC programme was held in Kigoma, Tanzania. CAC had returned to mark this important anniversary. It all began here. From one programme in one country in 2008, CAC is now working in over 50 countries around the world. All week, with Nick working alongside Nico as leader, the group had focussed on the challenging issue of Child Rights and Child Protection. Curriculum activities had included games in which participants had identified sources of potential harm, recognised the varying forms of abuse, identified who could be of help and which places could be considered safe. They had explored attitudes and expectations relevant to their local community. 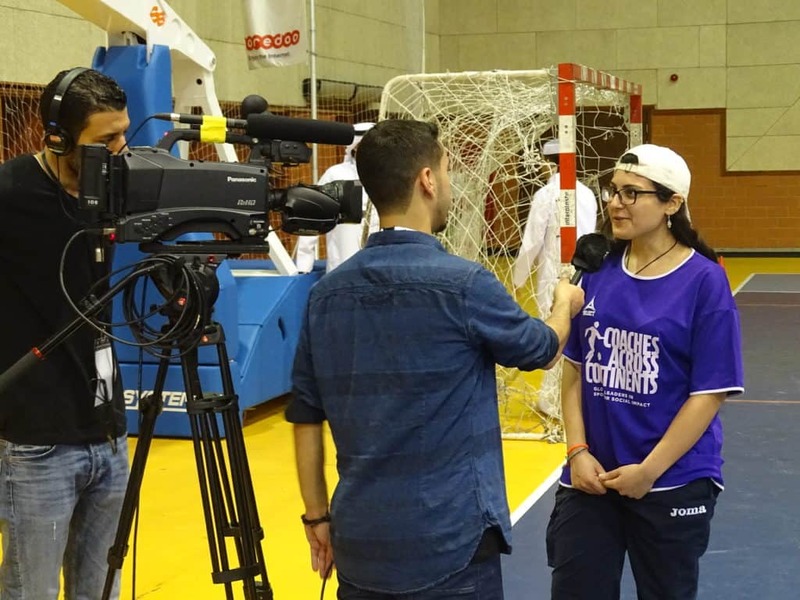 Teachers and students had shared ideas together during the games, but also worked separately to discuss factors which were specifically relevant to their age group or profession. They had then talked with each and demonstrated their capacity for understanding differing points of view. I had led a discussion on abuse. I asked which form of abuse, physical, emotional, verbal or sexual, was most prevalent in their community. Hesitation was minimal. The vast majority of both teachers and students cited sexual abuse. Teenage pregnancies were high. Girls were forced to marry at an early age. Hunger and poverty led to girls being sold, or selling themselves, sometimes for only a bag of rice. The boundary between Child Rights and Women’s Rights blurred as they explored the reality of life for young girls in their community. I asked teachers and students, each in their separate group, to think about what could be done, how things could improve. Acknowledging the problem openly was seen as key. The students suggested media reporting, government intervention. Their message was clear. We deserve support and help. Children should not have to experience these things. Teachers suggested education and parental involvement. Both groups wanted answers and action. The aspiration of the girl students was to complete their education and find a job, so that their subsequent life decisions were made from a position of relative strength. The final words I shared with them were about personal responsibility. We can turn to others to make the changes we want, but we each have the capacity to influence in some way the context in which we live. I asked them to be strong. I asked them to contribute to the changes they hoped for. I told them they each could be part of the solution, they each could contribute to making Kigoma an even better community. And she had heard me. Her final words were of latent power, of commitment, of hope. “I will be strong!” That is the message CAC endeavours to leave behind, hoping that it will take root and contribute to locally desired community changes around the world. Another first for Kigoma! July 24, 2018. Coaches Across Continents #WhatsYourLegacy? was officially shortlisted for the Global Impact of the Year Award by Beyond Sport. Selected from over 400 applications, from 100+ countries and covering 53 sports, the shortlist recognizes the standout work of organizations who are creating positive social impact in communities around the world through sport. On September 12, representatives of each of the organizations will attend the 10thannual Beyond Sport Global Awards ceremony at One World Observatory at One World Trade, where the winners of each category will be announced. Coaches Across Continents is the Global Leader in Education Outside the Classroom. Additionally, we are the only global NGO providing year-round process consultancy resources to partners. By using our Self-Directed Learning methodology, CAC mentors organizations through our Hat-Trick Initiative to create legacies of positive social change based on the United Nations Sustainable Development Goals. Through our dedicated process consultancy, Coaches Across Continents has worked with Corporations, Governments, Foundations, and Community Based organizations in 56 countries to Design, Develop, and Implement Sustainable Legacies of positive change through Sport for Social Impact. Our work and expertise has been recognized through 24 major global awards, invitations for countless international presentations and annual keynote speeches, published methodology, and CSR work in 23 countries for corporations and foundations. Our work has impacts over 16 million children annually, and our Corporate Partnership Legacy Program influences 100,000,000+ consumers. In addition to our work with Corporations and Foundation, CAC is also the Official Social Responsibility Partner of the Asian Football Confederation. 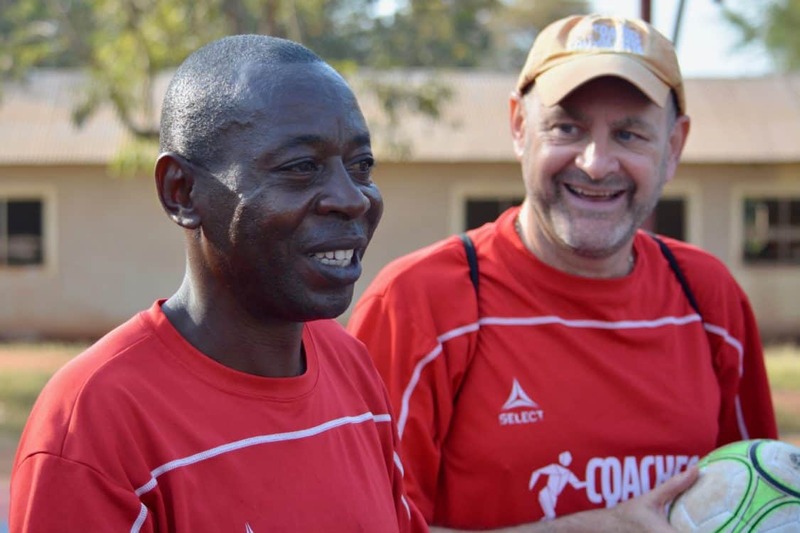 2018 marks Coaches Across Continents’ 10-year anniversary, and this week CAC Founder Nick Gates is in Kigoma, Tanzania to celebrate.